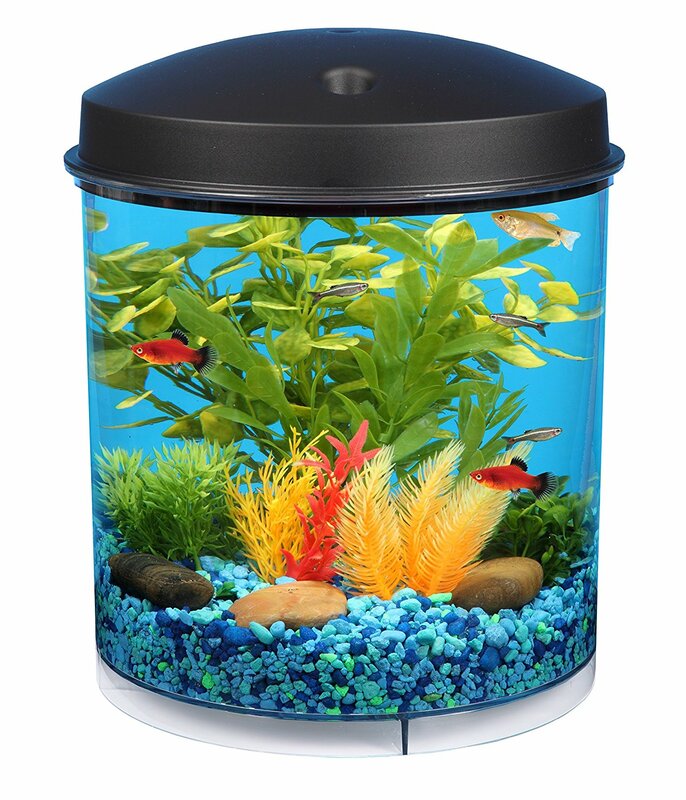 This 2 gallon tank from Aquaview is a ‘best seller’ on Amazon, and has a very good star rating average of 4 stars from over 500 reviews. It also comes with energy efficient LED lighting which has 7 different settings. Check it out below. 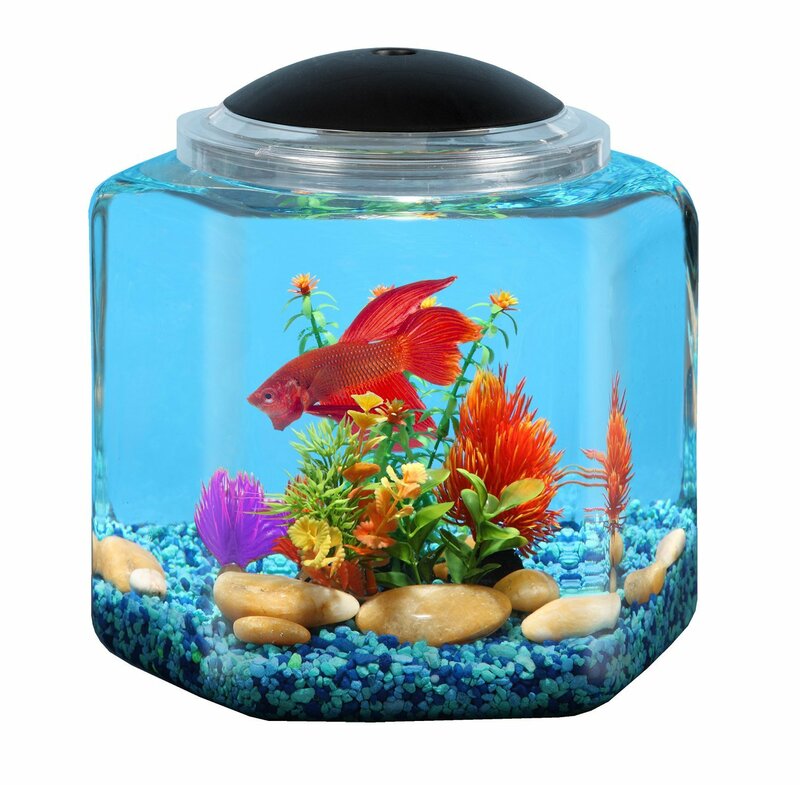 This 2 gallon hexagon aquarium is described as a BettaTank as it is the perfect size for a Betta fish. It is made by Koller, and has an average star rating of 3 stars from 10 reviews. Check it out below. This 2 gallon bowl is very basic, and should only be used for 1 very small fish. It’s made from plastic, and is very lightweight and small so would probably work ideally as a desk fish tank. 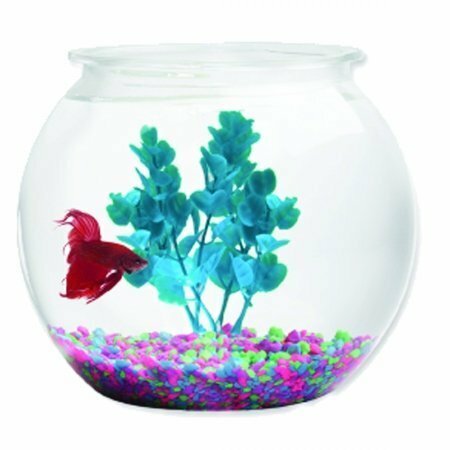 2 gallon fish tanks are very small, and should only really be used for very small fish and potentially even just 1 fish on their own (like a betta fish). Regardless, we’ve selected the best 2 gallon aquariums we could find to add to this list, so hopefully it helps you make the right choice for your fishy friend!